Simply delicious! This smoothie always brings me back to my childhood and Creamsicle phase. Now I can enjoy this magnificent vanilla/orange combo...and get my greens on too! 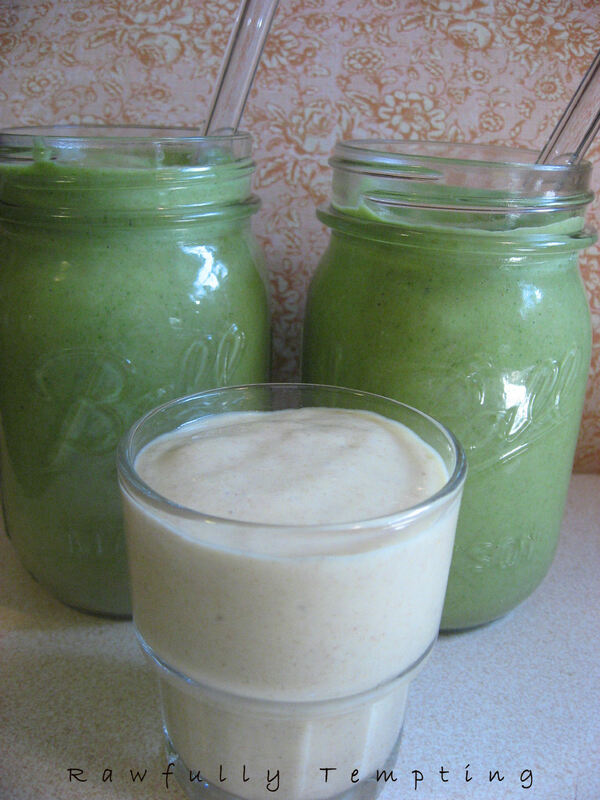 Pictured is the Creamsicle Smoothie without greens, topping the same recipe with greens. Both are equally delicious. Blend coconut water, meat and oranges. Option: before adding greens, pour some of smoothie into another glass and set aside. 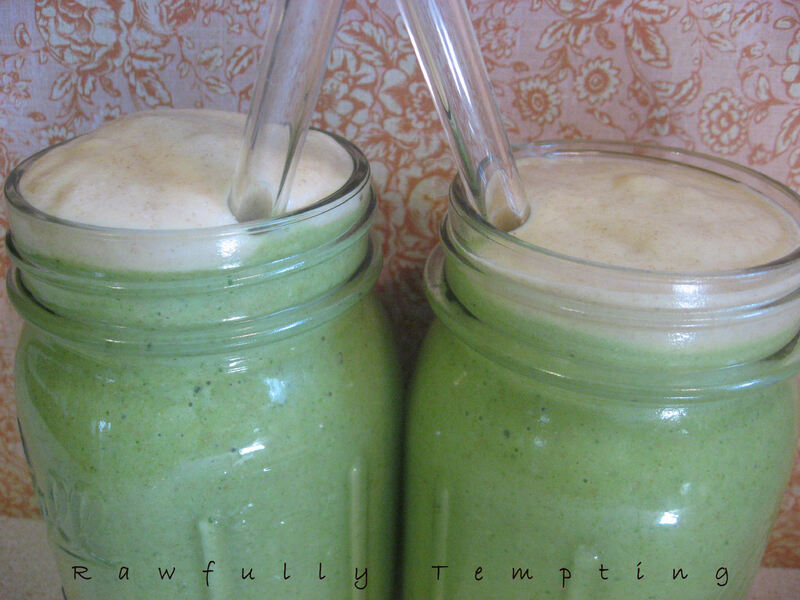 Blend greens into remaining mixture. Now you have two colors to play with. Layer your smoothie for a spectacular presentation! Add some orange slices for garnish.